At The Bridal Studio our aim is to make choosing your wedding dress a magical and memorable experience. Our carefully selected range of designer gowns cater for both contemporary and traditional tastes using only the finest fabrics and craftsmanship. We have dresses suitable for all occasions. From destination weddings to grand Castle or Church venues. We also cater for alternative tastes, stocking vintage designs and jumpsuits for more relaxed occasions. We have a beautiful range of veils, tiaras and accessories to compliment your look. We also stock a selection of evening gowns, prom dresses and bridesmaids dresses. We work with bespoke veil design companies to ensure we match your accessories perfectly to your beautiful designer dress. 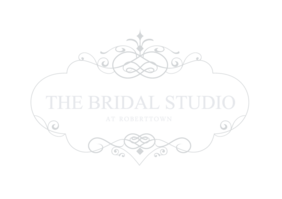 At The Bridal Studio we offer exclusive appointments from Saturday-Thursday, where the shop will be closed to the general public, so that our staff can concentrate on finding you your perfect dress. We think it’s important that you have the opportunity to try on as many designs as you wish, until you fall in love with that one special dress. For this reason we recommend that you book in for an appointment with us, to avoid any disappointment as we are ‘appointment only’ from Saturday-Thursday. If you wish to browse our dresses without committing to an appointment, we have a drop in day every Friday from 10am until 5pm. No appointment necessary! Refreshments are provided at your appointment whilst we ask you a couple of questions to find out about what it is that you’re looking for. We want your appointment to be a memorable and enjoyable moment for you, so advise that you bring along a maximum of three people to your first appointment with us. You are always welcome to bring other people back at a later date! We will do everything we can to make your time with us special. We will guide you through the process and always be on hand to answer any of your questions! We don’t believe in high pressure sales at The Bridal Studio as we want you to be 100% happy with your purchase. So please feel free to book in with us to see what we have to offer, even if you are at the early stages of planning your wedding! We now stock a range of sample dresses at heavily reduced prices. These are ‘off the peg’ samples that can be taken home on the day!